You are here: Home / Writing Lab / Blogging / Welcome, SITSahs! I’m just super excited to have my SITS Day today. For those of you who don’t know about SITS, it’s a community of 40,000 women bloggers dedicated to supporting one another by leaving comments and learning about blogging. The name SITS comes from the concept that the secret to success is in the support. And today is my today to be showered with blog comments. Funny, today is also the day I’m teaching my first beginner’s blogging class. A cool coincidence, I think. I have to admit, I wasn’t quite sure I wanted to join the SITS community at first. I mean, it sounded like a lot of time commitment to visit the website each day, comment on the featured blogger post, visit the featured blogger’s site and then comment over there as well. Finally, I decided to give it a try. I saw that many of the bloggers I followed were involved with the SITS community. It really is the support. I mean, I can’t tell you how many amazing blogs I’ve found through SITS. Blogs written by genuinely amazing women. And guess what? When I comment on their blogs, they come back and return the favor. They share their stories on my blog after I share mine on theirs. I learn from them. I laugh with them. I even shed a tear every now and then. It’s pretty cool. So, I hope you’ll take some time and have a look around. If you’re new to the site, you might want to start here. You can also find out more about me or my blog. Feel free to browse my categories up there in the purple. I also write a regular Philanthropy Friday series where I feature people and businesses that incorporate philanthropy into their everyday lives. I’m always looking for people to feature or guest post (hint, hint). Make yourself comfortable. If you like what you see, I hope you will subscribe via email (options in the left sidebar) or connect with me on social media (buttons up top). I’m going to respond to each and every one of you, even if it takes a few days. Happy SITS day Jennifer! I hope it’s amazing! I just saw the title of your post come into my In-box – and I had to rush right over. I am so happy for you that you are having your SITS day. Enjoy it! BTW that online class sounds interesting. I am going too look into it! ilene recently posted..Get it Done, Diva! I hope you take it Ilene. It should be a fun way to connect with (and get feedback from) other bloggers! Great tip on the online class, & I love what you said about SITS … it IS a big time commitment, but the benefits are pretty awesome 🙂 enjoy your day! They benefits are awesome! I’m still overwhelmed by all the comments I received on my day! Congrats on your SITS day, Jennifer! I’ve been enjoying your blog for a while now, glad to see it getting some recognition! Jenn recently posted..What is the Worst Part of What You Do? Thanks for being a loyal reader, Jenn! Happy SITS day! I love it that you’re a Syracuse Alum! I was in the process of applying to grad school there when I found out I was pregnant with twins… not the best time to pick up and move to NY!!! My hubs is from upstate NY, so maybe one day I’ll get there! My husband and I met at Syracuse, so it’s a special place for us. Maybe you’ll get there some day! Happy SITS day! I’m definitely going to check out your other posts, I could definitely use some blogging (networking) help. I’m glad I found your site! So glad you did, Lyza! Happy SITS day, Jennifer! Have a great day! Michelle recently posted..#TurboFire = Fun for the Family? Happy SITS day! I can’t wait to explore the rest of your blog. I do agree it can get to be a commitment to visit every featured blogger [sometimes I do skip a few because I’m just too busy to check it] but some of my favorite blogs to visit I found through SITS & I’m really happy to be a part of the community. I hope your SITS day is everything you wanted it to be!! I’ve found so many amazing blogs through SITS. Still going through all the ones that visited me! Happy SITS Day to you!! Amber recently posted..Hey, It’s Okay Tuesday! Glad you decided to stick around for SITS and happy to see a fellow copywriter on here! Love finding more Maine bloggers. Woohoo! Have a fantastic SITS day!! Happy SITS day! It really is a pretty great community. Happy SITS Day! I look forward to following your blog posts. Stephanie recently posted..Curly Hair: Blessing or a Curse? Hope you have a wonderful SITS day! Oh, happy happy SITS day to you! Hope you enjoy this day in the spotlight 🙂 Also hope you don’t mind if I make myself comfortable and browse around for a bit. You have a wonderful home here! Thanks, Charlotte. Do come back! I adore your blog mantra. And the world could use more decent human beings. Happy SITS Day! Love your writing and blogging tips, happy to have found you. I’m happy you found me too! Happy SITS day! I hope the class goes well!! Hi Jennifer! I totally agree that the coolest part about SITS is the support from awesome fellow bloggers. I’m glad you got your turn to be featured and just when you started your blogging class too! I’m on the waiting list, but it’s a great adventure and the journey is sometimes greater than the destination. Have a great day! Really dig your voice and content. Can’t wait for your next post to show up in my inbox! So happy to discover you on SITS, I’m interested in checking out your lab! Happy SITS day! It was great reading your post, because I am new to the SITS community and still trying to figure everything out. Oh, and I love your blog mantra, too! Melissa @ Fit ‘N’ Well Mommy recently posted..Oh, what a busy weekend! Congratulations Jennifer! Enjoy every bit of your SITS day today! Yay! I love meeting other pie-haters. I don’t find them much! 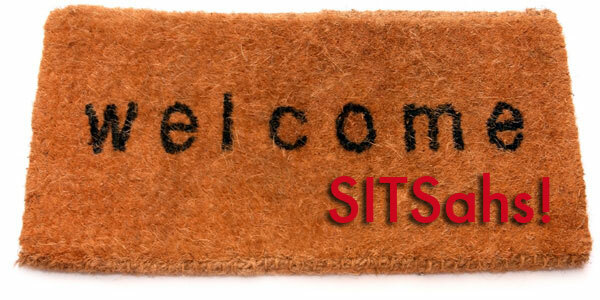 I just signed up for SITS today, so I loved your welcome post! Looking forward to being part of the community! Sarah recently posted..Tone it Tuesdays- Mommy-style! Congrats on your SITS Day! Jennifers of the world – UNITE! Happy belated SITS Day, Jennifer! I hope you enjoyed the spotlight! 😉 Now, off to read some of your posts! Happy SITS day. I really like your site a lot and have you on my Google Reader to update! As a new blogger, it’s always great to see how much you can do with it! Awesome, Deb. Thanks for following! I’m late to the par-tay (per usual these days) but wanted to wish you a HAPPY SITS DAY!!! Yay, I love the SITS community!